The US will not accept the option of settling the war in the Donbas, which would not provide for the restoration of the sovereignty and territorial integrity of Ukraine, Rex Tillerson, US Secretary of State announced in his speach on Europe-US relations. "Any settlement of the war in Ukraine, which does not ensure full sovereignty and territorial integrity of Ukraine, is unacceptable," Tillerson stated. The Secretary of State also pointed out that sanctions against Russia should be preserved until the restoration of Ukraine's sovereignty and territorial integrity. 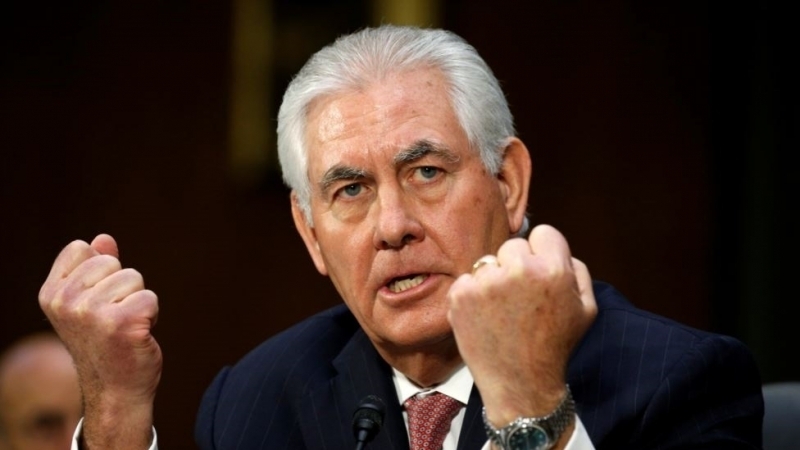 "Russia continues its aggressive behavior towards other neighbors in the region, interfering in the electoral process and promoting undemocratic ideals," the US Secretary of State said. Earlier, the Administration of United States of America informed that in case of deployment of UN peacekeepers in the east of Ukraine, the mission should be able to move freely throughout the Donbas and control only the Ukrainian side of the border with the Russian Federation.